Trash Catcher manifolds-Debris Catcher manifolds is the excellent equipment which is especially used on the oilfield to help prevents plugging of chokes and process equipment during drilling, well testing or fracturing frac flow back operation. This dual way strainer trash catcher debris catcher has the capability of continuous debris removal without shutting down flow back or drilling operations. The Trash Catcher (Debris Catcher) is Designed and manufactured in acc. with API 6A and used to catch and retain chunks from drilled plugs. They are very effective to prevent erosion damage to downstream equipment and catch and retain debris, chunks and trash, drilled bridge plugs etc. Either Skid mounted or trailer mounted can meet easy transportation and installation. The Trash Catcher (Debris Catcher) customizable structure allows customers to design their ideal system for reliable and consistent performance on their site. ● Removal and cleanup on horizontal-multilateral completion and workover. 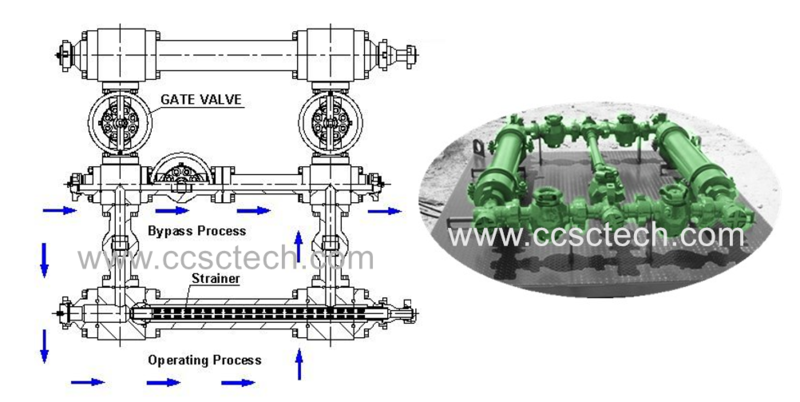 ● Drill out of completion tools such as bridge plugs, selective frac packer system. ● capture of frac sand and formation solids. Frac sand, fishing operation solids.